And will be rewarded with lots of applause. Every graduation speaker wants such a memorable experience and with this eBook YOU can have it, too. It was inspired by some of the most brilliant graduation speakers of all times, including Steve Jobs, Michelle and Barack Obama, Conan O’Brien, Will Ferrell, Tom Hanks, Steven Spielberg, Oprah Winfrey, Natalie Portman, Denzel Washington, Andy Samberg, J.K. Rowling, and many others. 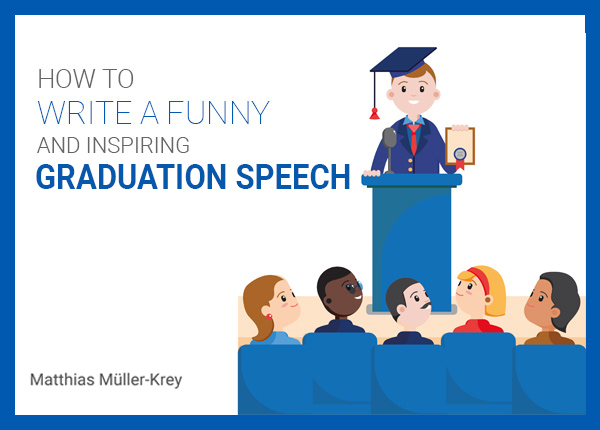 This short and compact eBook provides the best tips for a graduation speech including how to prepare, outline your key points, recommended speech length,find a clear message, as well as ideas for your content and how to best deliver it. There are also suggestions for fine-tuning and tricks for anxious speakers. With this eBook you’ll write a funny and inspiring speech in three hours or less. With the ideas in this book, you, too can dazzle on stage at the graduation ceremony. If you want to make a lasting impression and deliver a graduation speech you can be proud off, get this eBook now.